Recollectr 3.8 is here, and with it, freedom to come or go with your data, smarter checkboxes, Dyslexic Friendly Mode, a handful of new hotkeys, and a bucket of bug-fixes. One of the things that people worry about most when storing their information in a system is whether they’ll be able to get it out in the future, should the need arise. The other side of the same coin is concern over getting your existing data into a new system. No one wants to spend hours meticulously moving their data over by hand. Recollectr 3.8 takes pains to make sure you’ll never have to. Easily import a folder of .txt, .md., or .html files; or even an export from Google Keep into Recollectr as new notes. And exporting notes is just as easy. 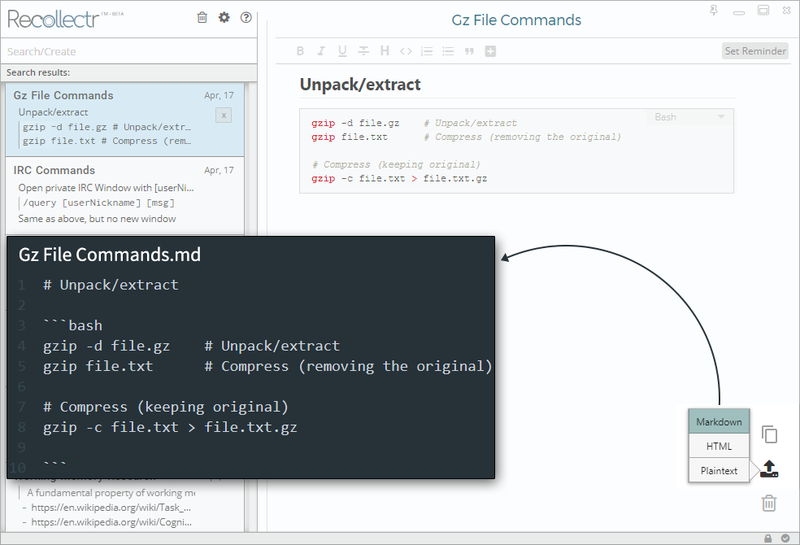 Use the bulk export feature to export your entire library to a zipped archive containing HTML, Markdown, or Plaintext files. When you export to HTML or Markdown, your files will even include your attached images and keep the syntax associated with your code snippets. But maybe you just need to export one note? No problem! You can export your current note to any of the above formats, or even copy it to your clipboard if that suites your need better. Checkboxes are a great way to keep track of tasks, but not tremendously useful if you can’t indent them; now though, you can! Not just that, but checkboxes automatically update their child and parent checkboxes checked status. Finished all of an item’s sub-tasks? It will check itself off! Uncheck a task? Its child tasks will update accordingly. The currently focused checkbox and its children which will be affected if you mark it checked are highlighted blue to help improve clarity and focus on the task at hand and how items relate to each other. 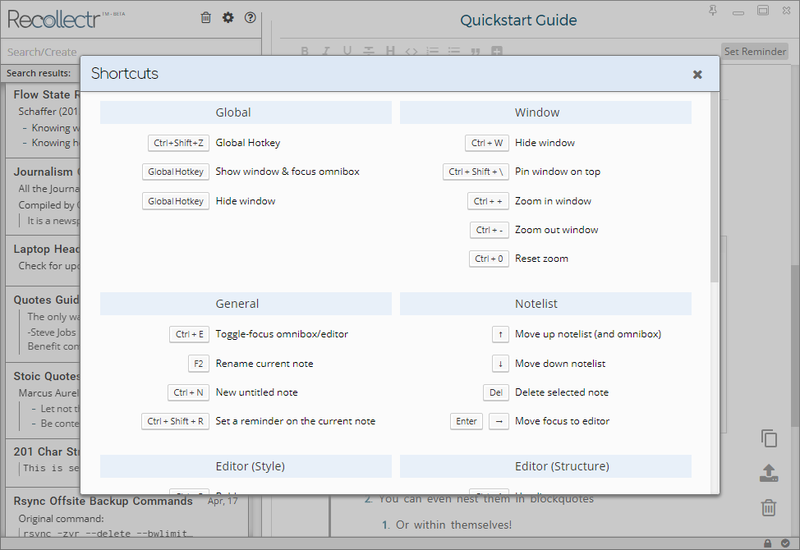 Remember you can use Ctrl+/ on Windows and Linux, or ⌘+/ on Mac to check or uncheck a checkbox. Recollectr’s goal is to make it easy for everyone to record and recall without breaking their flow, but how easy is that if you have trouble with the text? It’s estimated that 5-10% of people have some symptoms of dyslexia. Recollectr 3.8 includes an experimental Dyslexic Friendly Mode using the fantastic OpenDyslexic Font and some additional tweaks to sizing, spacing, and contrasts to hopefully make Recollectr a bit more focus friendly for that 5-10%. Compared with the other new features, these might seem kind of lackluster, but perhaps that’s because there were already hotkeys for practically everything. There’s two new hotkeys. 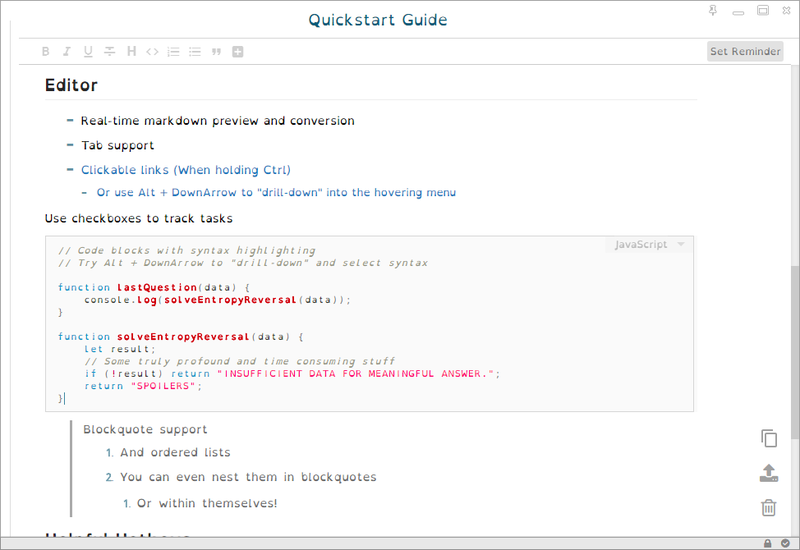 And of course, there’s that bucket of bug fixes, and some styling improvements. 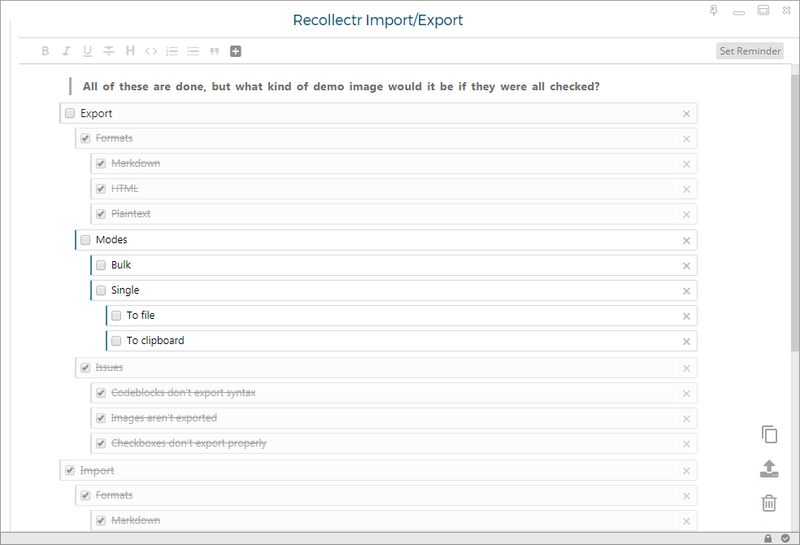 For more details take a look at the changelog for Recollectr 3.8.